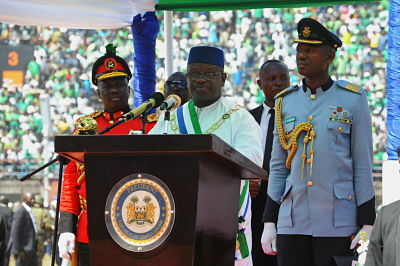 President Julius Maada Bio is to appoint a judicial commission of inquiry into massive state plunder and fraud during Ernest Bai Koroma's two terms of office after receiving an explosive report from his 12-member transition team, our sources in Freetown say. The team, led by Bio's new Chief Minister, Professor David Francis, was charged with taking stock of government finances and administration. The report, which landed on the President's desk this week, is expected to be published in the next few days. The government is taking steps to curb the ballooning debt, but will they be enough to make an IMF programme possible?